All of the information we collect about you may be combined to help us tailor our communications to you and to develop world-class products and services of superior quality. If you email us through the “Contact Us” link on the Website, we ask you for information such as your name and email address so we can respond to your questions and comments. You may choose to provide additional information as well. If you register on the Website for accessing our services like Order Status, Quotes, etc., we ask you for information such as your name company, address, city, state, zip, phone and email address so we can validate your account information and update you accordingly. If you would like to receive company’s newsletter, we ask for your name and email address so we can send you the newsletter. We occasionally may ask visitors to our Website to complete online surveys and opinion polls about their activities, attitudes and interests. These surveys help us serve you better and improve the usefulness of our site. In conducting these surveys we may ask you for your name, company and email address. We do not keep any personal information about you in connection with your participation in hpxparts.com survey unless you specifically agree to provide that information. We collect certain aggregate and non-personal information when you visit the Website. Aggregate and non-personal information does not relate to a single identifiable visitor. It tells us such things as how many users visited our site and the pages accessed. By collecting this information, we learn how to best tailor our Website to our visitors. We collect this information through following technologies as explained below. Like many companies, we use browser cookies on the Website. Browser cookies are bits of text that are placed on your computer’s hard drive when you visit certain web sites. We use browser cookies to tell us, for example, whether you’ve visited us before or if you’re a new visitor and to help us identify site features in which you may have the greatest interest. We may also automatically collect your Internet Protocol and referring web site addresses, browser type and domain name. Browser cookies may enhance your online experience by saving your preferences while you are visiting a particular site. Remember though, without browser cookies, you may not be able to take full advantage of all our Website features. Web beacons are small bits of code embedded in web pages or in emails. We may use web beacons to deliver or communicate with cookies, to count users who have visited a web page, and to understand usage patterns. We also may include web beacons in e-mails to learn if messages have been opened, acted on, or forwarded. Browser plug-ins/add-ons: Additional web components that may need to be installed to enable certain web features on our sites. You have the option not to install these components. We do not currently sell or otherwise disclose personal information about our Website visitors, except as described here. Website hosting firms, technical and database consultants, advertising agencies, order processing partners, and other third parties may have access to personally identifiable information in the course of making our Website and its contents available. We may share information provided by our visitors to hpxparts.com with service providers we have retained to perform services on our behalf. These service providers are contractually restricted from using or disclosing the information except as necessary to perform services on our behalf or to comply with legal requirements. In addition, we may disclose information about you (i) if we are required to do so by law or legal process, (ii) to law enforcement authorities or other government officials, or (iii) when we believe disclosure is necessary or appropriate to prevent physical harm or financial loss or in connection with an investigation of suspected or actual illegal activity. We reserve the right to transfer any information we have about you in the event we sell or transfer all or a portion of our business or assets. Should such a sale or transfer occur, we will use reasonable efforts to direct the transferee to use personal information you have provided through this Website in a manner that is consistent with this Privacy Statement. By using the Website, you hereby agree and consent to the transfer or assignment of your information as provided herein, and you further waive any claims that could be made against us in relation thereto. This Website is not directed to children under the age of thirteen and we do not knowingly collect personal information from children under the age of thirteen on the site. If we become aware that we have inadvertently received personal information from a visitor under the age of thirteen on the site, we will delete the information from our records. The United States does not have the same legal standard of data protection as its counterparts in the European Union, Switzerland, and other regions and QuoteHopper is located within the United States. Therefore, if you access our Website from outside the United States, you expressly consent to the transfer of your information into the United States. If you do not consent, you may not access our Website. We take steps to keep your information accurate. 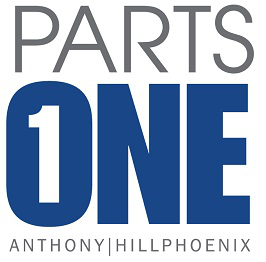 You can contact Hillphoenix Parts to update your information. You may unsubscribe to any of our newsletters by contacting us by email or by mail, and may unsubscribe to any online e-mail updates by following the unsubscribe instructions in the body of any e-mail message. We will take commercially reasonable steps to implement your opt-out requests promptly; but you may still receive promotional information from us by mail for up to 60 days due to printing and mailing schedules, and up to 10 days for e-mail. You may also continue to receive information from those third parties to whom your information was previously disclosed. Under California’s "Shine The Light" law, California residents who provide personal information in obtaining products or services for personal, family or household use are entitled to request and obtain from us (once a calendar year) information about the customer information we shared, if any, with other businesses for their own direct marketing uses. If applicable, this information would include the categories of customer information and the names and addresses of those businesses with which we shared customer information for the immediately prior calendar year (e.g. requests made in 2017 will receive information regarding 2016 sharing activities). To obtain this information, please send an email message to admin@hpxparts.com with "Request For California Privacy Information" on the subject line and in the body of your message. We will provide the requested information to you at your e-mail address in response. Please be aware that not all information sharing is covered by the "Shine The Light" requirements and only information on covered sharing will be included in our response.